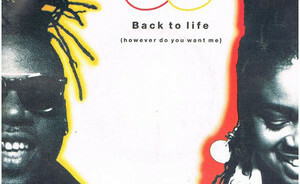 A moment with… Soul II Soul´s Jazzie B ! DJ, Producer and the founding father of the British group Soul II Soul answers our questions in the run up to his set at soul heaven this saturday at ocean beach ibiza! so jazzie What brought you into the world of music ? I was born into it, surrounded by music from the get go, all 5 of my brothers had sound systems. How did you end up collaborating with Nellee Hooper for Soul II Soul? We initially connected via the legendary promoter Neutrament in the early 80’s. We were part of opposing sound systems, I used to go to Bristol to play and he’d come to London. Once him and Milo moved to Camden, the rest was history. What/Who has been the biggest inspiration to your music ? Sound systems in the realist form are my biggest inspiration. Being honoured with a life size sculpture of myself in Finsbury Park where I grew up, i was voted by the community so that’s extra special to me. What has been your most memorable gig? Anything weird and wonderful happen? 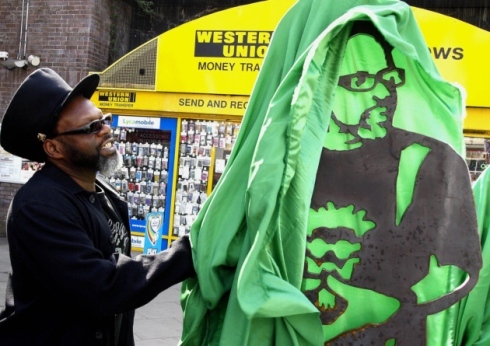 Jazzie B unveils his own image in steel At Finsbury Park station. What would you advise to aspiring songwriters? How does it feel to perform solo rather than as Soul II Soul and what do you prefer? No preference really, they’re both just as good. Performing solo is pretty much the same but without the entourage. When and what made you first come to Ibiza? I first came in the early Balearic days with Nellee to play, circa ’87. Describe your perfect day in Ibiza…. Nice food, playing some tunes and soaking up the great atmosphere! You can catch jazzie b, the man himself this saturday at soul heaven here at ocean beach ibiza! book your tickets and beds here at WWW.OCEANBEACHIBIZA.COM ! just click the image to play.